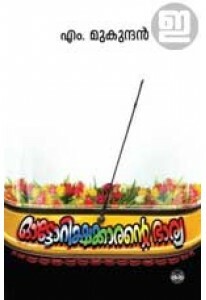 Novel by M Mukundan.BLURB: സമൂഹത്തിന്റെ ചലനങ്ങൾക്കൊത്ത് ജീവിക്കാൻ കഴിയ..
A sequel to M Mukundan’s ‘Kuda Nannakunna Choy’, the tale of an umbrel..
Collection of two short novels by M Mukundan. 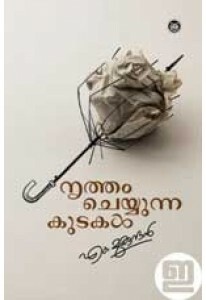 Novels are Engine Ezh..
Collection of short stories by M Mukundan. ‘Auto Rickshawkarante Bh..